Alan Stern, New Horizons Principal Investigator, as a new entry on his captain log. While we are still 2,050 days away on a 9.5 years journey towards Pluto, on December 2009 NH will be closer to Pluto than to Earth, somehow this gives me a strange feeling of seing the spacecraft as a student finally leaving its parents home and heading towards a distant university, where it will do what she is supposed to be doing, to learn and to share knowledge in order to make of us a richer species. 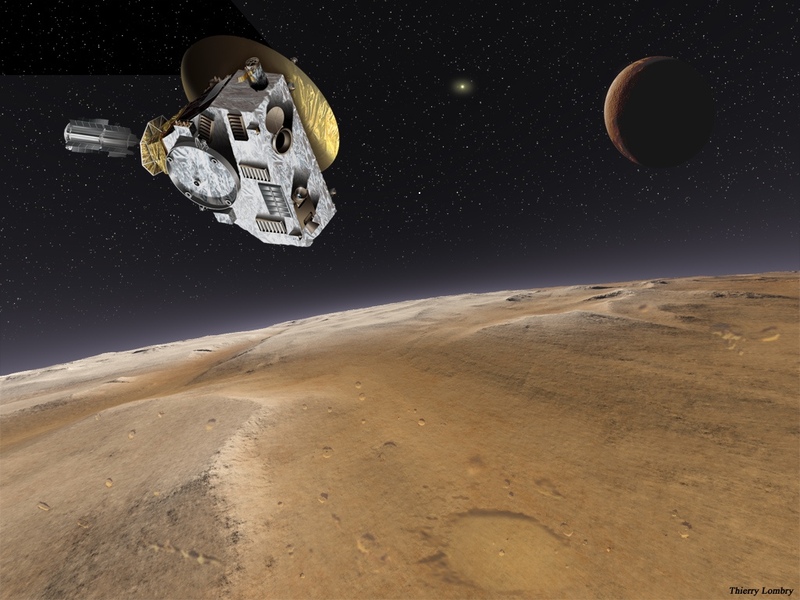 As 2009 reaches its end, New Horizons keeps the steady pace towards an unknown world, step by step, during this year, Pluto became 500 million kilometers closer.